No – just kidding. If you are making me pick from my lifetime of watching the Hawks, one won’t be enough. I was a huge fan of the Golden Jet when I was little. Had an autographed picture of him on my wall. Watching him fly up the wing was a thing of beauty. But in the 90’s, I was a huge Roenick fan. I still hate the day he was traded to Phoenix. Roenick always had heart and passion when he played. Every game on the ice, in the Indian Head sweater, he gave everything. His OT goal in the 94 playoffs is one of the all time great memories. Jeremy Roenick because he always played some hard and with a physical style despite not being very big. Also, he was skilled enough to score 513 goals and he represented his country in multiple international events including the Olympics. He still has incredible passion for the Hawks and the NHL. Keith Brown: He was one of the first and only Newfoundland born players to play in the NHL while i was a kid. Growing up I always collected Brown cards every year , and I still have every cards ever released. I got to meet Keith when I was young at a boy scout camp about 30 years ago and hope some day to do so again. Tony Amonte. I am a die-hard rangers fan and while I feel that their trade of Amonte for Matteau and Noonan helped them win the cup that year, I always wonder what could have been had he remained a ranger. I feel like he was reincarnated as Ryan Callahan. Hjalmarsson because his game matches mine in my rec league. I’ll never be particularly good, but he shows me how to be an effective defensive defenseman. His positioning is so effective at interfering with the forward’s efforts that they don’t get the shots they thought they would. And because he scores so rarely, his joy when he does is awesome. Like me celebrating an empty-netter because they don’t ask how, just how many. After being warned, I’m still going to go with Chelios… Way back in 1987 I was at my grandparents’ house and caught one of the Montreal-Philadelphia Conference Finals games on TV. We still had rabbit ears at home, so 99% of my hockey knowledge came from listening to Pat & Dale. Anyhow, this Chelios guy seemed to be everywhere and was really exciting to watch. Rode my bike up to the local card store the next day to buy his rookie card – which I still have, albeit a little worse for the wear – and he quickly became one of my two favorite players alongside Denis Savard. Needless to say I was a little conflicted when the two were traded for each other, but it became clear pretty quickly that the Hawks had gotten the better end of that deal. Watching him raising the Cup in Detroit was tough to bear, but to me he’s the face of some great teams in the early 90s that came *this* close. I’ll always wonder what those teams could have done under current management. – I like the Story of Blackhawks. 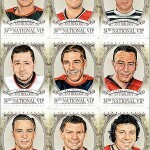 I´m following NHL from early 90-s and back then Blackhawks didn´t win Stanley Cup from 1961. So long way to go for a next victory, you just have to admire people around club. 1.) 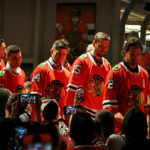 Stan Mikita – it´s pretty easy – because it´s Stan. A man who became a legend not only on the ice, but also off the ice. And that´s what makes a player a great star. 2.) 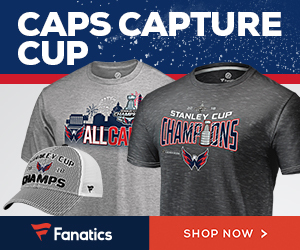 Peter Bondra – he only played one season for this franchise, and will be the star of Capitals, but he reminds me many qualities I see in Stan (and plus, I liked his pace and puck handling. It was just beauty on the ice) and he ended his career in Chicago, so I´m counting him in as a “Chicago player” too. 3.) Marian Hossa – I´m considering him a true star, who can be seen on the ice even if he don´t score. I think he is one of greatest reasons why Black Hawks were able to win Stanley Cup twice in last four seasons. I’ve always been a Tony Esposito kind of guy. What’s there to say? 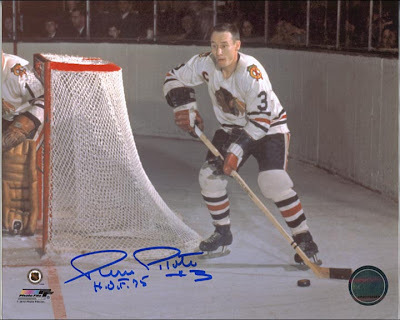 The Blackhawks never missed the playoffs with Espo in the crease, he won the first of his three Vezina Trophies as a rookie; plus the Hawks couldn’t find a better statesman for Chicago hockey than Tony O (except maybe for Stan Mikita, my second best Hawk player). My favorite Blackhawk has got to be Ed Olczyk because he started a Hawk and finished a Hawk and now works the color for the home games along with Pat Foley. I admire that will and desire to stay loyal to their franchise. It’s a quality you don’t find much these days. The other reason I admire him…he was a Pen. I remember when they picked him up in the middle of 1996-97. He wasn’t a guy that put up huge numbers or dazzled on the ice. But he was a role player and he made the most of his time out there. Plus he was an asset of leadership in the locker room. So much so, that the Pens eventually got him back in the booth to do the color commentary with Mike Lange after he retired. Again, staying loyal to their franchise and making the most of what is given to you…very admirable. But then there was the coaching stint in 2003-2005…not impressive by any means whatsoever. In fact, that was some of the worst Penguin hockey I have ever seen on the ice and frankly, I don’t know why he agreed to put down the mic and put on the suit. I loved the idea of Edzo as a coach but lets face it, he had no experience behind the bench. The players didn’t really respond to his lazy style and regardless of his friendship with Mario, he didn’t last long into the 2005-06 season. His problem was that he let hockey players play hockey. There was no discipline, no structure, and no organization. His philosophy seemed to focus on over-payed veteran talent that would obviously gel because of their experience. Well it didn’t. He couldn’t put a winning line on the ice even with players like Crosby, Lemieux, Gonchar, Palffy, LeClair, Recchi, Malone, Thibault or Fleury. I’m pretty sure his hiring (and subsequent firing) was the reason GM Craig Patrick was canned at the end of that year. That was something that I had been calling for three years earlier and Edzo made it happen (so again…much respect). 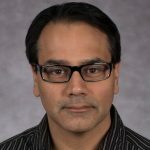 Now that he is a full-time broadcaster for Chicago and NBC, I have to give him a lot of credit. He has loyalty to two teams, the Pens and Blackhawks. But of all the announcers that I have listened to, he is one that almost never lets his colors show through. He calls games down the middle, comments objectively, and reacts like a fan of the game, not just the teams. Another reason I admire him. 2. He was a Penguin and stayed loyal to their franchise even after retirement. 3. He helped get the “lost sight of reality” GM Craig Patrick fired. 4. He is always a straight laced color guy that calls things unbiased in a world of “homerism”. 5. (I didn’t put it up there, but…) He was elected to the US Hockey Hall of Fame in 2012 and deservedly so. So to me, he will always be “tremendously tremendous”. Always like Ed growing up for the same reasons you did. I thought he got a bad name because of the lousy core that made up the bankrupt ridden team between 02 and 05 (when your top scorer is Tarnstrom, you know there are serious issues). Your right about his demise behind the bench, but I would argue that the team at the time was made up of awkward but talented kids learning the game and aged veterans at the end of their careers and there wasn’t the gelling that you need to have (Palffy jumping ship, Leclair being a pain in the dressing room, Mario’s declining health, Recchi being asked to do too much). Growing up a Pens fan in the 90’s I can’t say I was a big Hawks fan. But I did respect the talent that team put together and how the success in the early 90’s and struggles of both teams in the 2000’s seemed to mirror each other. If anyone gets what being a Pens fan is all about over the last 2 decades or so, surely it would only be Hawks fans. 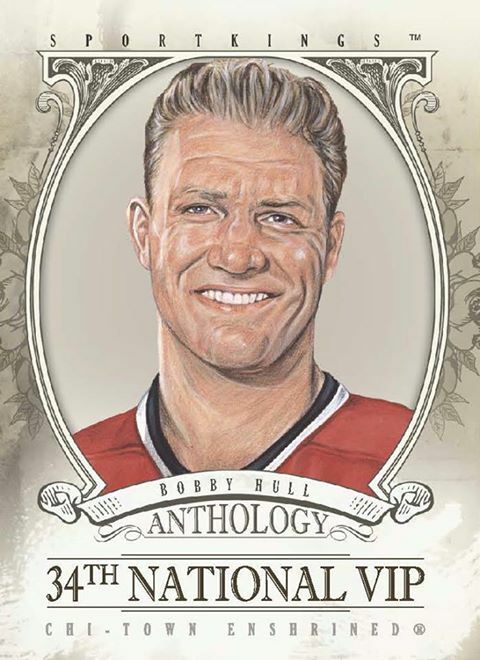 Stan Mikita – Would have also said Bobby Hull for his talent, but from what I have heard about and seen on old games Mikita is a class act, gentleman and consistently successful player. In my opinion cut from the same cloth as Ron Francis. What helps me choose this was how my grandfather played junior A hockey against Stan (also the Maki brothers and Hull who said he was one of the toughest SOB’s to play against) who was on St. Catherine’s in the late 50’s. An honorable mention for Craig Adams who is a top end role player and class act for both the Pens and Hawks over the last several years. Toews is a young, two-way skilled leader. He plays the game right and leads by example. When he becomes an Unrestricted Free Agent, every NHL team with salary cap room will be fighting like a savage blackhawk to get him on their roster! 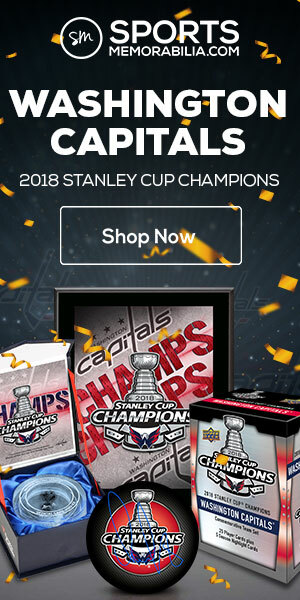 You can’t spell Cup without this “C”. some pretty great names have been mentioned so far for sure…. My favourite is a guy who when you think of, you don’t really remember him as a Hawk. He was always one of my faves when he came up as a rookie and played for the first few years of his career in Montreal. He was my kind of guy. Marginal hockey talent, but no one worked harder than he did, on or off the ice. And his career improved from year to year. He started off as an enforcer. But through hard work, he earned playing time for his value on the ice, not with his fists. He played for 16 years, and was voted Captain on three clubs. Yeah sure… Really nice of him to say. Fast forward a year…. and I get a phone call. It’s Lyle. I’m speechless… surely it’s a prank. But no. It’s Lyle Freakin’ Odelein and he wants to know if I have time to go out for pop. So here’s me, sitting at the bar of their team hotel downtown, having wobbly pops with one of my favourite players. Just talking about the game we both love. My favorite would be Al Secord. He looked like a possessed mad man with that mane flowing behind him as he skated down the ice. I was too young to see his glory years but he still made a bring impression on me during the twilight of his career. I was always a big Dirk Graham fan. My kind of hockey player — always on the ice, rarely missed a game. He’d kill penalties, taking a shift on the power play, and was regularly assigned to the opposing team’s top line. On top of that, he’d scrap if he had to. This guy could do it all. He was such a good guy, I’ll even give him a pass on the coaching expirement. Hey, nobody’s perfect, right? 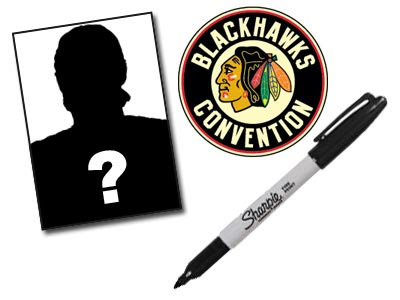 I’d have to say my favorite Blackhawk is one that not many fans know about, but should. Harold “Mush” March played was drafted by Chicago in 1928, and played his entire career in Chicago, becoming one of the best Blackhawk right-wingers in franchise history. He scored the game winning goal in overtime against Detroit to give the Blackhawks their first Stanley Cup (when Kaner scored in Philly, it felt very deja vu). He also netted the last goal in Maple Leaf Gardens. But more personally, he was a family friend. He dated my grandmother for a few years as they were neighbors in Chicago.Though he didn’t become my grandfather (shucks), he remained close to my family. Harold and his wife were even a guests of honor at my parents’ wedding. I consider that proof that I’ve been a Blackhawks fan since before I was born. 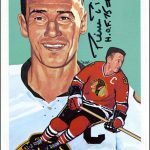 I got to meet him once, snagging a great autograph and sharing a conversation with a special player in Blackhawk history, before his passing in 2002. He is one player who not only influenced me to be a fan of his but to become a fan of the Blackhawks in general. I idolized Eddie the Eagle right from his rookie year. I actually fell in love with his rookie card first which of course appeared just as he began his meteoric rise in the hockey world. During his rookie year he of course won loads of NHL hardware, but what else happened I believe changed hockey significantly. During that rookie season Belfour appeared in 74 games which was pretty much unheard of at the time as greats like Patrick Roy were topping out at around 50 games a season. However, since Ed Belfour showed in 90-91 that NHL goalies could play almost nightly, goalies have eclipsed the old record of 71 games 54 times. Even players like Patrick Roy and Grant Fuhr began playing in many more games each season. Roy’s previous high was 54 games in 89-90 but after that 90-91 season he would play in over 60 games 11 of his last 12 NHL season and the lockout was the only year he didn’t reach 60. Ed Belfour was a winner, a game changer and a little bit crazy. But I believe that is what kept him so dominant and even when he struggled he wasn’t afraid to seek out help and get back to the basics. I would play road hockey for hours on end during my high school years and I would always try and emulate his style and approach to the game and I used to think that was what made me a better player too. Ed Belfour’s UD rookie card is what got me started, but his passion and skill is what made me a huge fan of his and is what made me a fan of the Blackhawks and they will always be my number two team! Growing up a goalie thrilled by hockey history, no hawks players stood out to me more than Espo. He was a great goalie with the hawks and his “trader” philosophy in New York involved having a revolving door that spun faster that Steinbrenner’s. I remember reading a book that told a story of how Phil practically forced him to play goalie when they were younger and I found it hilarious that he ended up being the only goalie that could stop Phil. A great goalie and a great inspiration. I posted a comment about a week ago, I thought it was posted and now I don’t see it. Any way you could drop me an email if you deleted it? I’d hate to have a computer glitch cost me a chance at the set. OK, the contest is closed. I’ll post winners in a day or two (or Monday by the very latest). Thanks to everyone for sharing about their favorite Blackhawks player.